After a new garage door installation, you simply need to enjoy its fabulous looks and easy operation. But before this moment comes, you have to make a number of important decisions. One of them is what material the new unit will be made from. In addition to the classic wood and the functional steel, there is fiberglass. Most homeowners are not well familiar with the properties and benefits of this material simply because it has been used for the making of garage doors for a fairly short time now. Learn more about it to decide if it will be right for you. Fiberglass is a type of plastic reinforced with glass fibers. Traditionally, it has been used for the making of storage tanks and safety equipment. 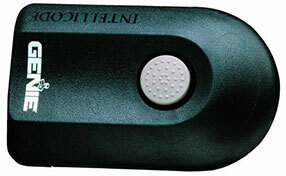 In recent years, it is becoming more and more widely used for the making of doors for buildings and garages. This material is quite strong, but its weather resistance and durability are its primary advantage. Moisture cannot damage it in any way. 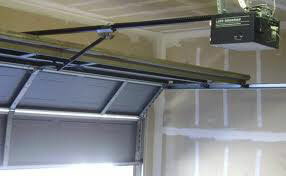 You do not have to worry about rainwater or condensation causing damage to the garage door panels. The material is not affected by extreme temperatures and temperature fluctuations. It does not expand, contract and crack. Doors made from fiberglass are also recommended for coastal areas as the material is resistant to scratching which is caused by the sand particles carried with the wind. The fiberglass overhead doors actually have steel frame. Only the panels are made from this material. Just like with steel doors, there are three main construction options available. You can go for a model with a single fiberglass layer, a model which has an added layer of insulating material or one which has two layers of the main material with insulation in between them. There are two insulation material options - polyurethane foam and polystyrene panels. The first type of material has greater thermal resistance and durability. Even though they are not as sophisticated as their wood counterparts, the one-piece and sectional doors made from this material have an appealing glossy surface. Manufacturers have started using techniques for mimicking the surface of genuine wood and the results are quite impressive. Although they look like wood, the panels do not require any kind of special maintenance apart from cleaning. 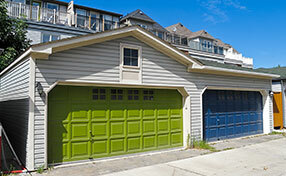 When it comes to fiberglass garage door prices, they are comparable to those of steel units.